For the medical condition, see Inhalation § Hyperaeration. 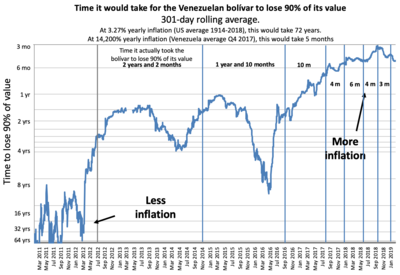 Hyperinflation in Venezuela represented by the time it would take for money to lose 90% of its value (301-day rolling average, inverted logarithmic scale). In economics, hyperinflation is very high and typically accelerating inflation. It quickly erodes the real value of the local currency, as the prices of all goods increase. This causes people to minimize their holdings in that currency as they usually switch to more stable foreign currencies, often the US Dollar. Prices typically remain stable in terms of other relatively stable currencies. Unlike low inflation, where the process of rising prices is protracted and not generally noticeable except by studying past market prices, hyperinflation sees a rapid and continuing increase in nominal prices, the nominal cost of goods, and in the supply of money. Typically, however, the general price level rises even more rapidly than the money supply as people try ridding themselves of the devaluing currency as quickly as possible. As this happens, the real stock of money (i.e., the amount of circulating money divided by the price level) decreases considerably. 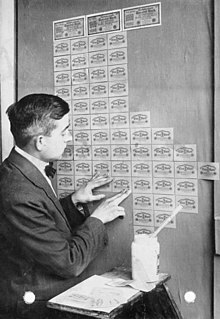 Hyperinflation is often associated with some stress to the government budget, such as wars or their aftermath, sociopolitical upheavals, a collapse in export prices, or other crises that make it difficult for the government to collect tax revenue. A sharp decrease in real tax revenue coupled with a strong need to maintain government spending, together with an inability or unwillingness to borrow, can lead a country into hyperinflation. In 1956, Phillip Cagan wrote The Monetary Dynamics of Hyperinflation, the book often regarded as the first serious study of hyperinflation and its effects (though The Economics of Inflation by C. Bresciani-Turroni on the German hyperinflation was published in Italian in 1931). In his book, Cagan defined a hyperinflationary episode as starting in the month that the monthly inflation rate exceeds 50%, and as ending when the monthly inflation rate drops below 50% and stays that way for at least a year. Economists usually follow Cagan’s description that hyperinflation occurs when the monthly inflation rate exceeds 50%. The cumulative inflation rate over three years approaches, or exceeds, 100%. While there can be a number of causes of high inflation, most hyperinflations have been caused by government budget deficits financed by money creation. Peter Bernholz analysed 29 hyperinflations (following Cagan's definition) and concludes that at least 25 of them have been caused in this way. A necessary condition for hyperinflation is the use of paper money, instead of gold or silver coins. 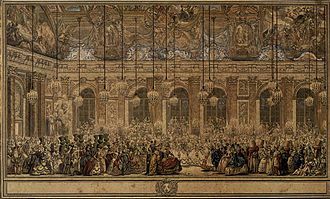 Most hyperinflations in history, with some exceptions, such as the French hyperinflation of 1789-1796, occurred after the use of fiat currency became widespread in the late 19th century. The French hyperinflation took place after the introduction of a non-convertible paper currency, the assignats. Hyperinflation occurs when there is a continuing (and often accelerating) rapid increase in the amount of money that is not supported by a corresponding growth in the output of goods and services. The price increases that result from the rapid money creation creates a vicious circle, requiring ever growing amounts of new money creation to fund government deficits. Hence both monetary inflation and price inflation proceed at a rapid pace. Such rapidly increasing prices cause widespread unwillingness of the local population to hold the local currency as it rapidly loses its buying power. Instead they quickly spend any money they receive, which increases the velocity of money flow; this in turn causes further acceleration in prices. This means that the increase in the price level is greater than that of the money supply. The real stock of money, M/P, decreases. Here M refers to the money stock and P to the price level. This results in an imbalance between the supply and demand for the money (including currency and bank deposits), causing rapid inflation. Very high inflation rates can result in a loss of confidence in the currency, similar to a bank run. Usually, the excessive money supply growth results from the government being either unable or unwilling to fully finance the government budget through taxation or borrowing, and instead it finances the government budget deficit through the printing of money. Theories of hyperinflation generally look for a relationship between seigniorage and the inflation tax. In both Cagan's model and the neo-classical models, a tipping point occurs when the increase in money supply or the drop in the monetary base makes it impossible for a government to improve its financial position. Thus when fiat money is printed, government obligations that are not denominated in money increase in cost by more than the value of the money created. From this, it might be wondered why any rational government would engage in actions that cause or continue hyperinflation. One reason for such actions is that often the alternative to hyperinflation is either depression or military defeat. The root cause is a matter of more dispute. In both classical economics and monetarism, it is always the result of the monetary authority irresponsibly borrowing money to pay all its expenses. These models focus on the unrestrained seigniorage of the monetary authority, and the gains from the inflation tax. In neo-classical economic theory, hyperinflation is rooted in a deterioration of the monetary base, that is the confidence that there is a store of value that the currency will be able to command later. In this model, the perceived risk of holding currency rises dramatically, and sellers demand increasingly high premiums to accept the currency. This in turn leads to a greater fear that the currency will collapse, causing even higher premiums. One example of this is during periods of warfare, civil war, or intense internal conflict of other kinds: governments need to do whatever is necessary to continue fighting, since the alternative is defeat. Expenses cannot be cut significantly since the main outlay is armaments. Further, a civil war may make it difficult to raise taxes or to collect existing taxes. While in peacetime the deficit is financed by selling bonds, during a war it is typically difficult and expensive to borrow, especially if the war is going poorly for the government in question. The banking authorities, whether central or not, "monetize" the deficit, printing money to pay for the government's efforts to survive. The hyperinflation under the Chinese Nationalists from 1939 to 1945 is a classic example of a government printing money to pay civil war costs. By the end, currency was flown in over the Himalayas, and then old currency was flown out to be destroyed. Hyperinflation is a complex phenomenon and one explanation may not be applicable to all cases. In both of these models, however, whether loss of confidence comes first, or central bank seigniorage, the other phase is ignited. In the case of rapid expansion of the money supply, prices rise rapidly in response to the increased supply of money relative to the supply of goods and services, and in the case of loss of confidence, the monetary authority responds to the risk premiums it has to pay by "running the printing presses." Nevertheless, the immense acceleration process that occurs during hyperinflation (such as during the German hyperinflation of 1922/23) still remains unclear and unpredictable. The transformation of an inflationary development into the hyperinflation has to be identified as a very complex phenomenon, which could be a further advanced research avenue of the complexity economics in conjunction with research areas like mass hysteria, bandwagon effect, social brain, and mirror neurons. A number of hyperinflations were caused by some sort of extreme negative supply shock, often but not always associated with wars, the breakdown of the communist system or natural disasters. Since hyperinflation is visible as a monetary effect, models of hyperinflation center on the demand for money. Economists see both a rapid increase in the money supply and an increase in the velocity of money if the (monetary) inflating is not stopped. Either one, or both of these together are the root causes of inflation and hyperinflation. A dramatic increase in the velocity of money as the cause of hyperinflation is central to the "crisis of confidence" model of hyperinflation, where the risk premium that sellers demand for the paper currency over the nominal value grows rapidly. The second theory is that there is first a radical increase in the amount of circulating medium, which can be called the "monetary model" of hyperinflation. In either model, the second effect then follows from the first—either too little confidence forcing an increase in the money supply, or too much money destroying confidence. In the confidence model, some event, or series of events, such as defeats in battle, or a run on stocks of the specie that back a currency, removes the belief that the authority issuing the money will remain solvent—whether a bank or a government. Because people do not want to hold notes that may become valueless, they want to spend them. Sellers, realizing that there is a higher risk for the currency, demand a greater and greater premium over the original value. Under this model, the method of ending hyperinflation is to change the backing of the currency, often by issuing a completely new one. War is one commonly cited cause of crisis of confidence, particularly losing in a war, as occurred during Napoleonic Vienna, and capital flight, sometimes because of "contagion" is another. In this view, the increase in the circulating medium is the result of the government attempting to buy time without coming to terms with the root cause of the lack of confidence itself. In the monetary model, hyperinflation is a positive feedback cycle of rapid monetary expansion. It has the same cause as all other inflation: money-issuing bodies, central or otherwise, produce currency to pay spiraling costs, often from lax fiscal policy, or the mounting costs of warfare. When business people perceive that the issuer is committed to a policy of rapid currency expansion, they mark up prices to cover the expected decay in the currency's value. The issuer must then accelerate its expansion to cover these prices, which pushes the currency value down even faster than before. According to this model the issuer cannot "win" and the only solution is to abruptly stop expanding the currency. Unfortunately, the end of expansion can cause a severe financial shock to those using the currency as expectations are suddenly adjusted. This policy, combined with reductions of pensions, wages, and government outlays, formed part of the Washington consensus of the 1990s. Whatever the cause, hyperinflation involves both the supply and velocity of money. Which comes first is a matter of debate, and there may be no universal story that applies to all cases. But once the hyperinflation is established, the pattern of increasing the money stock, by whichever agencies are allowed to do so, is universal. Because this practice increases the supply of currency without any matching increase in demand for it, the price of the currency, that is the exchange rate, naturally falls relative to other currencies. Inflation becomes hyperinflation when the increase in money supply turns specific areas of pricing power into a general frenzy of spending quickly before money becomes worthless. The purchasing power of the currency drops so rapidly that holding cash for even a day is an unacceptable loss of purchasing power. As a result, no one holds currency, which increases the velocity of money, and worsens the crisis. Because rapidly rising prices undermine the role of money as a store of value, people try to spend it on real goods or services as quickly as possible. Thus, the monetary model predicts that the velocity of money will increase as a result of an excessive increase in the money supply. At the point when money velocity and prices rapidly accelerate in a vicious circle, hyperinflation is out of control, because ordinary policy mechanisms, such as increasing reserve requirements, raising interest rates, or cutting government spending will be ineffective and be responded to by shifting away from the rapidly devalued money and towards other means of exchange. During a period of hyperinflation, bank runs, loans for 24-hour periods, switching to alternate currencies, the return to use of gold or silver or even barter become common. Many of the people who hoard gold today expect hyperinflation, and are hedging against it by holding specie. There may also be extensive capital flight or flight to a "hard" currency such as the US dollar. This is sometimes met with capital controls, an idea that has swung from standard, to anathema, and back into semi-respectability. All of this constitutes an economy that is operating in an "abnormal" way, which may lead to decreases in real production. If so, that intensifies the hyperinflation, since it means that the amount of goods in "too much money chasing too few goods" formulation is also reduced. This is also part of the vicious circle of hyperinflation. Once the vicious circle of hyperinflation has been ignited, dramatic policy means are almost always required. Simply raising interest rates is insufficient. Bolivia, for example, underwent a period of hyperinflation in 1985, where prices increased 12,000% in the space of less than a year. The government raised the price of gasoline, which it had been selling at a huge loss to quiet popular discontent, and the hyperinflation came to a halt almost immediately, since it was able to bring in hard currency by selling its oil abroad. The crisis of confidence ended, and people returned deposits to banks. The German hyperinflation (1919–November 1923) was ended by producing a currency based on assets loaned against by banks, called the Rentenmark. Hyperinflation often ends when a civil conflict ends with one side winning. Although wage and price controls are sometimes used to control or prevent inflation, no episode of hyperinflation has been ended by the use of price controls alone, because price controls that force merchants to sell at prices far below their restocking costs result in shortages that cause prices to rise still further. Hyperinflation effectively wipes out the purchasing power of private and public savings; distorts the economy in favor of the hoarding of real assets; causes the monetary base, whether specie or hard currency, to flee the country; and makes the afflicted area anathema to investment. One of the most important characteristics of hyperinflation is the accelerating substitution of the inflating money by stable money—gold and silver in former times, then relatively stable foreign currencies after the breakdown of the gold or silver standards (Thiers' Law). If inflation is high enough, government regulations like heavy penalties and fines, often combined with exchange controls, cannot prevent this currency substitution. As a consequence, the inflating currency is usually heavily undervalued compared to stable foreign money in terms of purchasing power parity. So foreigners can live cheaply and buy at low prices in the countries hit by high inflation. It follows that governments that do not succeed in engineering a successful currency reform in time must finally legalize the stable foreign currencies (or, formerly, gold and silver) that threaten to fully substitute the inflating money. Otherwise, their tax revenues, including the inflation tax, will approach zero. The last episode of hyperinflation in which this process could be observed was in Zimbabwe in the first decade of the 21st century. In this case, the local money was mainly driven out by the US dollar and the South African rand. Enactment of price controls to prevent discounting the value of paper money relative to gold, silver, hard currency, or other commodities fail to force acceptance of a paper money that lacks intrinsic value. If the entity responsible for printing a currency promotes excessive money printing, with other factors contributing a reinforcing effect, hyperinflation usually continues. Hyperinflation is generally associated with paper money, which can easily be used to increase the money supply: add more zeros to the plates and print, or even stamp old notes with new numbers. Historically, there have been numerous episodes of hyperinflation in various countries followed by a return to "hard money". Older economies would revert to hard currency and barter when the circulating medium became excessively devalued, generally following a "run" on the store of value. Much attention on hyperinflation centers on the effect on savers whose investments become worthless. Interest rate changes often cannot keep up with hyperinflation or even high inflation, certainly with contractually fixed interest rates. For example, in the 1970s in the United Kingdom inflation reached 25% per annum, yet interest rates did not rise above 15%—and then only briefly—and many fixed interest rate loans existed. Contractually, there is often no bar to a debtor clearing his long term debt with "hyperinflated cash", nor could a lender simply somehow suspend the loan. Contractual "early redemption penalties" were (and still are) often based on a penalty of n months of interest/payment; again no real bar to paying off what had been a large loan. In interwar Germany, for example, much private and corporate debt was effectively wiped out—certainly for those holding fixed interest rate loans. Ludwig von Mises used the term "crack-up boom" (German: Katastrophenhausse) to describe the economic consequences of an unmitigated increasing in the base-money supply. As more and more money is provided, interest rates decline towards zero. Realizing that fiat money is losing value, investors will try to place money in assets such as real estate, stocks, even art; as these appear to represent "real" value. Asset prices are thus becoming inflated. This potentially spiraling process will ultimately lead to the collapse of the monetary system. The Cantillon effect says that those institutions that receive the new money first are the beneficiaries of the policy. Hyperinflation is ended by drastic remedies, such as imposing the shock therapy of slashing government expenditures or altering the currency basis. One form this may take is dollarization, the use of a foreign currency (not necessarily the U.S. dollar) as a national unit of currency. An example was dollarization in Ecuador, initiated in September 2000 in response to a 75% loss of value of the Ecuadorian sucre in early 2000. But usually the "dollarization" takes place in spite of all efforts of the government to prevent it by exchange controls, heavy fines and penalties. The government has thus to try to engineer a successful currency reform stabilizing the value of the money. If it does not succeed with this reform the substitution of the inflating by stable money goes on. Thus it is not surprising that there have been at least seven historical cases in which the good (foreign) money did fully drive out the use of the inflating currency. In the end the government had to legalize the former, for otherwise its revenues would have fallen to zero. Hyperinflation has always been a traumatic experience for the people who suffer it, and the next political regime almost always enacts policies to try to prevent its recurrence. Often this means making the central bank very aggressive about maintaining price stability, as was the case with the German Bundesbank, or moving to some hard basis of currency, such as a currency board. Many governments have enacted extremely stiff wage and price controls in the wake of hyperinflation, but this does not prevent further inflation of the money supply by the central bank, and always leads to widespread shortages of consumer goods if the controls are rigidly enforced. In countries experiencing hyperinflation, the central bank often prints money in larger and larger denominations as the smaller denomination notes become worthless. This can result in the production of unusually large demoninations of banknotes, including those denominated in amounts of 1,000,000,000 or more. By late 1923, the Weimar Republic of Germany was issuing two-trillion mark banknotes and postage stamps with a face value of fifty billion marks. The highest value banknote issued by the Weimar government's Reichsbank had a face value of 100 trillion marks (1014; 100,000,000,000,000; 100 million million). At the height of the inflation, one US dollar was worth 4 trillion German marks. One of the firms printing these notes submitted an invoice for the work to the Reichsbank for 32,776,899,763,734,490,417.05 (3.28 × 1019, or 33 quintillion) marks. The largest denomination banknote ever officially issued for circulation was in 1946 by the Hungarian National Bank for the amount of 100 quintillion pengő (100,000,000,000,000,000,000, or 1020; 100 million million million) image. (A banknote worth 10 times as much, 1021 (1 sextillion) pengő, was printed but not issued image.) The banknotes did not show the numbers in full: "hundred million b.-pengő" ("hundred million trillion pengő") and "one milliard b.-pengő" were spelled out instead. This makes the 100,000,000,000,000 Zimbabwean dollar banknotes the note with the greatest number of zeros shown. The Post-World War II hyperinflation of Hungary held the record for the most extreme monthly inflation rate ever – 41,900,000,000,000,000% (4.19 × 1016% or 41.9 quadrillion percent) for July 1946, amounting to prices doubling every 15.3 hours. By comparison, recent figures (as of 14 November 2008) estimate Zimbabwe's annual inflation rate at 89.7 sextillion (1021) percent. The highest monthly inflation rate of that period was 79.6 billion percent, and a doubling time of 24.7 hours. In figures, that is 79,600,000,000%. One way to avoid the use of large numbers is by declaring a new unit of currency. (As an example, instead of 10,000,000,000 dollars, a central bank might set 1 new dollar = 1,000,000,000 old dollars, so the new note would read "10 new dollars".) A recent example of this is Turkey's revaluation of the Lira on 1 January 2005, when the old Turkish lira (TRL) was converted to the New Turkish lira (TRY) at a rate of 1,000,000 old to 1 new Turkish Lira. While this does not lessen the actual value of a currency, it is called redenomination or revaluation and also occasionally happens in countries with lower inflation rates. During hyperinflation, currency inflation happens so quickly that bills reach large numbers before revaluation. Some banknotes were stamped to indicate changes of denomination, as it would have taken too long to print new notes. By the time new notes were printed, they would be obsolete (that is, they would be of too low a denomination to be useful). Metallic coins were rapid casualties of hyperinflation, as the scrap value of metal enormously exceeded its face value. Massive amounts of coinage were melted down, usually illicitly, and exported for hard currency. Governments will often try to disguise the true rate of inflation through a variety of techniques. None of these actions addresses the root causes of inflation; and if discovered, they tend to further undermine trust in the currency, causing further increases in inflation. Price controls will generally result in shortages and hoarding and extremely high demand for the controlled goods, causing disruptions of supply chains. Products available to consumers may diminish or disappear as businesses no longer find it economic to continue producing and/or distributing such goods at the legal prices, further exacerbating the shortages. There are also issues with computerized money-handling systems. In Zimbabwe, during the hyperinflation of the Zimbabwe dollar, many automated teller machines and payment card machines struggled with arithmetic overflow errors as customers required many billions and trillions of dollars at one time. 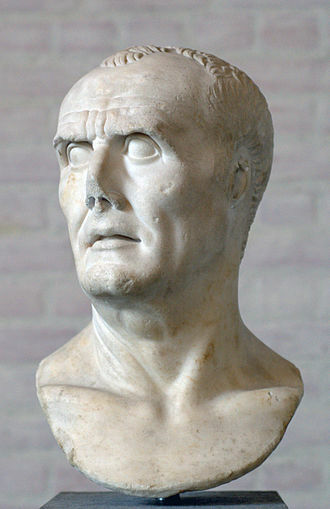 During the Crisis of the Third Century, Rome underwent hyperinflation caused by years of coinage devaluation. In 1922, inflation in Austria reached 1,426%, and from 1914 to January 1923, the consumer price index rose by a factor of 11,836, with the highest banknote in denominations of 500,000 Austrian krones. [a] After World War I, essentially all State enterprises ran at a loss, and the number of state employees in the capital, Vienna, was greater than in the earlier monarchy, even though the new republic was nearly one-eighth of the size. Observing the Austrian response to developing hyperinflation, which included the hoarding of food and the speculation in foreign currencies, Owen S. Phillpotts, the Commercial Secretary at the British Legation in Vienna wrote: "The Austrians are like men on a ship who cannot manage it, and are continually signalling for help. While waiting, however, most of them begin to cut rafts, each for himself, out of the sides and decks. The ship has not yet sunk despite the leaks so caused, and those who have acquired stores of wood in this way may use them to cook their food, while the more seamanlike look on cold and hungry. The population lack courage and energy as well as patriotism." As the first user of fiat currency, China was also the first country to experience hyperinflation. Paper currency was introduced during the Tang Dynasty, and was generally welcomed. It maintained its value, as successive Chinese governments put in place strict controls on issuance. The convenience of paper currency for trade purposes led to strong demand for paper currency. It was only when discipline on quantity supplied broke down that hyperinflation emerged. The Yuan Dynasty (1271–1368) was the first to print large amounts of fiat paper money to fund their wars, resulting in hyperinflation. Much later, the Republic of China went through hyperinflation from 1948–49. In 1947, the highest denomination bill was 50,000 yuan. By mid-1948, the highest denomination was 180,000,000 yuan. The 1948 currency reform replaced the yuan by the gold yuan at an exchange rate of 1 gold yuan = 3,000,000 yuan. In less than a year, the highest denomination was 10,000,000 gold yuan. In the final days of the civil war, the Silver Yuan was briefly introduced at the rate of 500,000,000 Gold Yuan. Meanwhile, the highest denomination issued by a regional bank was 6,000,000,000 yuan (issued by Xinjiang Provincial Bank in 1949). After the renminbi was instituted by the new communist government, hyperinflation ceased, with a revaluation of 1:10,000 old Renminbi in 1955. By November 1922, the value in gold of money in circulation had fallen from £300 million before World War I to £20 million. The Reichsbank responded by the unlimited printing of notes, thereby accelerating the devaluation of the mark. In his report to London, Lord D'Abernon wrote: "In the whole course of history, no dog has ever run after its own tail with the speed of the Reichsbank." Germany went through its worst inflation in 1923. In 1922, the highest denomination was 50,000 Marks. By 1923, the highest denomination was 100,000,000,000,000 (1014) Marks. In December 1923 the exchange rate was 4,200,000,000,000 (4.2 × 1012) Marks to 1 US dollar. In 1923, the rate of inflation hit 3.25 × 106 percent per month (prices double every two days). 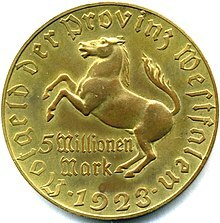 Beginning on 20 November 1923, 1,000,000,000,000 old Marks were exchanged for 1 Rentenmark, so that 4.2 Rentenmarks were worth 1 US dollar, exactly the same rate the Mark had in 1914. With the German invasion in April 1941, there was an abrupt increase in prices. This was due to psychological factors related to the fear of shortages and to the hoarding of goods. During the German and Italian Axis occupation of Greece (1941-1944), the agricultural, mineral, industrial etc. production of Greece were used to sustain the occupation forces, but also to secure provisions for the Afrika Korps. One part of these "sales" of provisions was settled with bilateral clearing through the German DEGRIGES and the Italian Sagic companies at very low prices. As the value of Greek exports in drachmas fell, the demand for drachmas followed suit and so did its forex rate. While shortages started due to naval blockades and hoarding, the prices of commodities soared. The other part of the "purchases" was settled with drachmas secured from the Bank of Greece and printed for this purpose by private printing presses. As prices soared, the Germans and Italians started requesting more and more drachmas from the Bank of Greece to offset price increases; each time prices increased, the note circulation followed suit soon afterwards. For the year November 1943 - November 1944, the inflation rate was 2.5 × 1010%, the circulation was 6.28 × 1018 drachmae and one gold sovereign cost 43,167 billion drachmas. The hyperinflation started subsiding immediately after the departure of the German occupation forces, but inflation rates took several years before they fell below 50%. The Treaty of Trianon and political instability between 1919 and 1924 led to a major inflation of Hungary's currency. In 1921, in an attempt to stop inflation, the national assembly of Hungary passed the Hegedűs reforms, including a 20% levy on bank deposits. 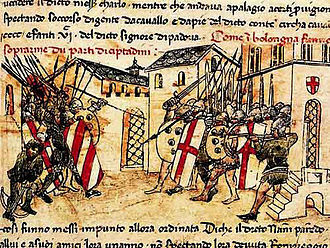 This action precipitated a mistrust of banks by the public, especially the peasants, and resulted in a reduction in savings and in the amount of currency in circulation. Unable to tax adequately, the government resorted to printing money, and in 1923 inflation in Hungary reached 98% per month. Between the end of 1945 and July 1946, Hungary went through the worst inflation ever recorded. In 1944, the highest denomination[clarification needed] was 1,000 pengő. By the end of 1945, it was 10,000,000 pengő. The highest denomination in mid-1946 was 100,000,000,000,000,000,000 (1020) pengő. A special currency, the adópengő – or tax pengő – was created for tax and postal payments. The value of the adópengő was adjusted each day, by radio announcement. On 1 January 1946 one adópengő equaled one pengő. 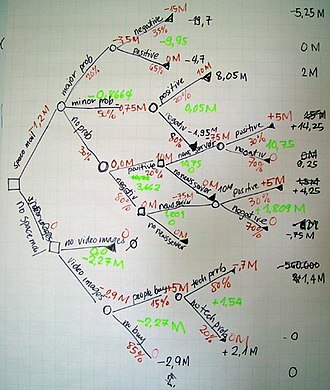 By late July, one adópengő equaled 2,000,000,000,000,000,000,000 or 2×1021 (2 sextillion) pengő. When the pengő was replaced in August 1946 by the forint, the total value of all Hungarian banknotes in circulation amounted to 1/1,000 of one US dollar. This is the most severe known incident of inflation recorded, peaking at 1.3 × 1016 percent per month (prices double every 15 hours). The overall impact of hyperinflation: On 18 August 1946, 400,000,000,000,000,000,000,000,000,000 or 4×1029 (four hundred quadrilliard on the long scale used in Hungary; four hundred octillion on short scale) pengő became 1 forint. North Korea has most likely experienced hyperinflation from December 2009 to mid-January 2011. Based on the price of rice, North Korea's hyperinflation peaked in mid-January 2010, but according to black market exchange-rate data, and calculations based on purchasing power parity, North Korea experienced its peak month of inflation in early March 2010. These data are unofficial, however, and therefore must be treated with a degree of caution. In modern history, Peru underwent a period of hyperinflation period in the 1980s to the early 1990s starting with President Fernando Belaúnde's second administration, heightened during Alan García's first administration, to the beginning of Alberto Fujimori's term. Over 3,210,000,000 old soles would be worth one USD. Garcia's term introduced the inti, which worsened inflation into hyperinflation. Peru's currency and economy were pacified under Fujimori's Nuevo Sol program, which remains Peru's currency. Poland has gone through two episodes of hyperinflation since the country regained independence following the World War I, the first in 1923, the second in 1989-1990. 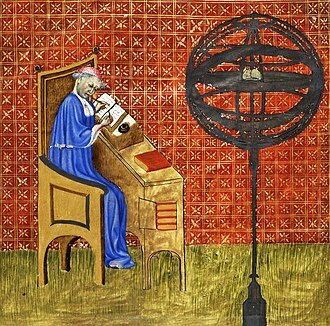 Both events resulted in the introduction of new currencies. In 1924, the złoty replaced the original currency of post-war Poland, the mark. This currency was subsequently replaced by another of the same name in 1950, which was assigned the ISO code of PLZ. As a result of the second hyperinflation crisis, the current new złoty was introduced in 1990 (ISO code: PLN). See the article on Polish złoty for more information about the currency's history. The newly independent Poland had been struggling with a large budget deficit since its inception in 1918 but it was in 1923 when inflation reached its peak. The exchange rate to the American dollar went from 9 Polish marks per dollar in 1918 to 6,375,000 marks per dollar at the end of 1923. A new personal 'inflation tax' was introduced. The resolution of the crisis is attributed to Władysław Grabski, who became prime minister of Poland in December 1923. Having nominated an all-new government and being granted extraordinary lawmaking powers by the Sejm for a period of six months, he introduced a new currency, established a new national bank and scrapped the inflation tax, which took place throughout 1924. The economic crisis in Poland in the 1980s was accompanied by rising inflation when new money was printed to cover a budget deficit. Although inflation was not as acute as in 1920s, it is estimated that its annual rate reached around 600% in a period of over a year spanning parts of 1989 and 1990. The economy was stabilised by the adoption of the Balcerowicz Plan in 1989, named after the main author of the reforms, minister of finance Leszek Balcerowicz. The plan was largely inspired by the previous Grabski's reforms. 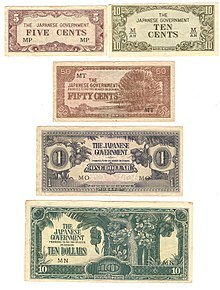 The Japanese government occupying the Philippines during World War II issued fiat currencies for general circulation. The Japanese-sponsored Second Philippine Republic government led by Jose P. Laurel at the same time outlawed possession of other currencies, most especially "guerrilla money." The fiat money's lack of value earned it the derisive nickname "Mickey Mouse money". Survivors of the war often tell tales of bringing suitcases or bayong (native bags made of woven coconut or buri leaf strips) overflowing with Japanese-issued bills. Early on, 75 Mickey Mouse pesos could buy one duck egg. In 1944, a box of matches cost more than 100 Mickey Mouse pesos. In 1942, the highest denomination available was 10 pesos. Before the end of the war, because of inflation, the Japanese government was forced to issue 100-, 500-, and 1000-peso notes. Banana banknotes issued by the Japanese Government during the occupation of Malaya. The term "banana money" originates from the motifs of banana trees on the currency's 10 dollar banknote. Malaya and Singapore were under Japanese occupation from 1942 until 1945. The Japanese issued banana money as the official currency to replace the Straits currency issued by the British. During that time, the cost of basic necessities increased drastically. As the occupation proceeded, the Japanese authorities printed more money to fund their wartime activities, which resulted in hyperinflation and a severe depreciation in value of the banana note. From February to December 1942, $100 of Straits currency was worth $100 in Japanese scrip, after which the value of Japanese scrip began to erode, reaching $385 on December 1943 and $1,850 one year later. 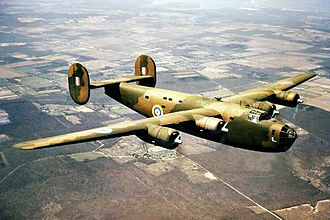 By 1 August 1945, this had inflated to $10,500, and 11 days later it had reached $95,000. After 13 August 1945, Japanese scrip had become valueless. 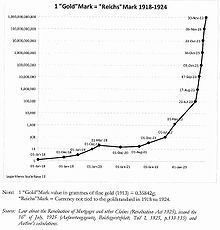 A seven-year period of uncontrollable spiralling inflation occurred in the early Soviet Union, running from the earliest days of the Bolshevik Revolution in November 1917 to the reestablishment of the gold standard with the introduction of the chervonets as part of the New Economic Policy. The inflationary crisis effectively ended in March 1924 with the introduction of the so-called "gold ruble" as the country's standard currency. The early Soviet hyperinflationary period was marked by three successive redenominations of its currency, in which "new rubles" replaced old at the rates of 10,000-to-1 (1 January 1922), 100-to-1 (1 January 1923), and 50,000-to-1 (7 March 1924), respectively. Between 1921 and 1922, inflation in the Soviet Union reached 213%. 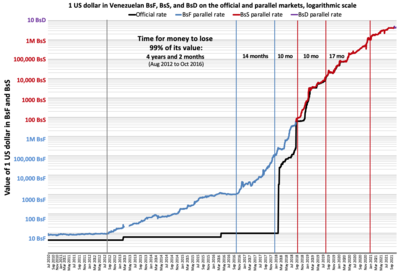 The value of one US dollar in Venezuelan Bolivares fuertes on the black market through time, according to DolarToday.com. Blue vertical lines represent every time the currency has lost 90% of its value. This has happened five times since 2012, meaning that the currency is worth, as of June 2018, 100,000 times less than in August 2012, since it has lost more than 99.999% of its value. Venezuela's hyperinflation began in November 2016. Inflation of Venezuela's bolivar fuerte (VEF) in 2014 reached 69% and was the highest in the world. In 2015, inflation was 181%, the highest in the world and the highest in the country's history at that time, 800% in 2016 over 4,000% in 2017, and 1,698,488% in 2018. with Venezuela spiraling into hyperinflation. While the Venezuelan government "has essentially stopped" producing official inflation estimates as of early 2018, one estimate of the rate at that time was 5,220%, according to inflation economist Steve Hanke of Johns Hopkins University. Inflation has affected Venezuelans so much that in 2017, some people became video game gold farmers and could be seen playing games such as RuneScape to sell in-game currency or characters for real currency. In many cases, these gamers made more money than salaried workers in Venezuela even though they were earning just a few dollars per day. During the Christmas season of 2017, some shops would no longer use price tags since prices would inflate so quickly, so customers were required to ask staff at stores how much each item was. The International Monetary Fund estimated in 2018 that Venezuela's inflation rate would reach 1,000,000% by the end of the year.. This forecast was criticized by Steve H. Hanke, professor of applied economics at The Johns Hopkins University and senior fellow at the Cato Institute. According to Hanke, the IMF had released a "bogus forecast" because "no one has ever been able to accurately forecast the course or the duration of an episode of hyperinflation. But that has not stopped the IMF from offering inflation forecasts for Venezuela that have proven to be wildly inaccurate". 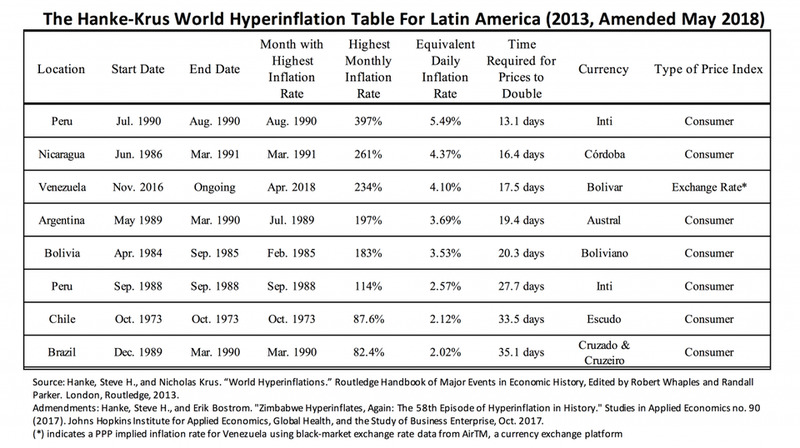 In July 2018, Hyperinflation in Venezuela was sitting 33,151%, "the 23rd most severe episode of hyperinflation in history" . A 500 billion Yugoslav dinar banknote circa 1993, the largest nominal value ever officially printed in Yugoslavia, the final result of hyperinflation. Yugoslavia went through a period of hyperinflation and subsequent currency reforms from 1989–1994. One of several regional conflicts accompanying the dissolution of Yugoslavia was the Bosnian War (1992–1995). The Belgrade government of Slobodan Milošević backed ethnic Serbian secessionist forces in the conflict, resulting in a United Nations boycott of Yugoslavia. The UN boycott collapsed an economy already weakened by regional war, with the projected monthly inflation rate accelerating to one million percent by December 1993 (prices double every 2.3 days). The highest denomination in 1988 was 50,000 dinars. By 1989 it was 2,000,000 dinars. In the 1990 currency reform, 1 new dinar was exchanged for 10,000 old dinars. In the 1992 currency reform, 1 new dinar was exchanged for 10 old dinars. The highest denomination in 1992 was 50,000 dinars. By 1993, it was 10,000,000,000 dinars. In the 1993 currency reform, 1 new dinar was exchanged for 1,000,000 old dinars. Before the year was over, however, the highest denomination was 500,000,000,000 dinars. In the 1994 currency reform, 1 new dinar was exchanged for 1,000,000,000 old dinars. In another currency reform a month later, 1 novi dinar was exchanged for 13 million dinars (1 novi dinar = 1 German mark at the time of exchange). The overall impact of hyperinflation was that 1 novi dinar was equal to 1 × 1027~1.3 × 1027 pre-1990 dinars. Yugoslavia's rate of inflation hit 5 × 1015 percent cumulative inflation over the time period 1 October 1993 and 24 January 1994. The 100 trillion Zimbabwean dollar banknote (1014 dollars), equal to 1027 (1 octillion) pre-2006 dollars. Hyperinflation in Zimbabwe was one of the few instances that resulted in the abandonment of the local currency. At independence in 1980, the Zimbabwe dollar (ZWD) was worth about USD 1.25. Afterwards, however, rampant inflation and the collapse of the economy severely devalued the currency. 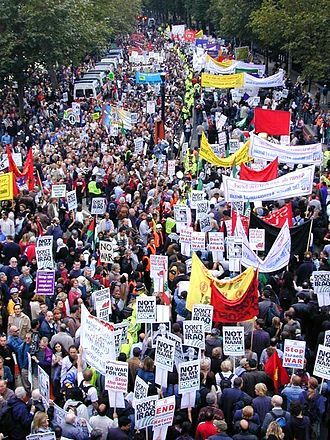 Inflation was steady until British Prime Minister Tony Blair reneged on Land reform agreements arrived at between Margaret Thatcher and Robert Mugabe continued land redistribution from the white farming community in 1998, resulting in reductions in food production and the decline of foreign investment. Several multinational companies began hoarding retail goods in warehouses in Zimbabwe and just south of the border, preventing commodities from becoming available on the market The result was that to pay its expenditures Mugabe's government and Gideon Gono's Reserve Bank printed more and more notes with higher face values. 5 May: banknotes or "bearer cheques" for the value of ZWN 100 million and ZWN 250 million. 15 May: new bearer cheques with a value of ZWN 500 million (then equivalent to about USD 2.50). 20 May: a new series of notes ("agro cheques") in denominations of $5 billion, $25 billion and $50 billion. 21 July: "agro cheque" for $100 billion. Inflation by 16 July officially surged to 2,200,000% with some analysts estimating figures surpassing 9,000,000%. As of 22 July 2008 the value of the ZWN fell to approximately 688 billion per 1 USD, or 688 trillion pre-August 2006 Zimbabwean dollars. On 1 August 2008, the Zimbabwe dollar was redenominated at the ratio of 1010 ZWN to each third dollar (ZWR). On 19 August 2008, official figures announced for June estimated the inflation over 11,250,000%. Zimbabwe's annual inflation was 231,000,000% in July (prices doubling every 17.3 days). By October 2008 Zimbabwe was mired in hyperinflation with wages falling far behind inflation. In this dysfunctional economy hospitals and schools had chronic staffing problems, because many nurses and teachers could not afford bus fare to work. Most of the capital of Harare was without water because the authorities had stopped paying the bills to buy and transport the treatment chemicals. Desperate for foreign currency to keep the government functioning, Zimbabwe's central bank governor, Gideon Gono, sent runners into the streets with suitcases of Zimbabwean dollars to buy up American dollars and South African rand. For periods after July 2008, no official inflation statistics were released. Prof. Steve H. Hanke overcame the problem by estimating inflation rates after July 2008 and publishing the Hanke Hyperinflation Index for Zimbabwe. Prof. Hanke's HHIZ measure indicated that the inflation peaked at an annual rate of 89.7 sextillion percent (89,700,000,000,000,000,000,000%) in mid-November 2008. The peak monthly rate was 79.6 billion percent, which is equivalent to a 98% daily rate, or around 7× 10^108 percent yearly rate. At that rate, prices were doubling every 24.7 hours. Note that many of these figures should be considered mostly theoretical since hyperinflation did not proceed at this rate over a whole year. At its November 2008 peak, Zimbabwe's rate of inflation approached, but failed to surpass, Hungary's July 1946 world record. On 2 February 2009, the dollar was redenominated for the third time at the ratio of 1012 ZWR to 1 ZWL, only three weeks after the $100 trillion banknote was issued on 16 January, but hyperinflation waned by then as official inflation rates in USD were announced and foreign transactions were legalised, and on 12 April the Zimbabwe dollar was abandoned in favour of using only foreign currencies. The overall impact of hyperinflation was 1 ZWL = 1025 ZWD. Some countries experienced very high inflation, but did not reach hyperinflation, as defined as a monthly inflation rate of 50%. Between 1620 and 1622 the Kreuzer fell from 1 Reichsthaler to 124 Kreuzer in end of 1619 to 1 Reichstaler to over 600 (regionally over 1000) Kreuzer in end of 1622, during the Thirty Years' War. This is a monthly inflation rate of over 20.6% (regionally over 34.4%). Between 1987 and 1995 the Iraqi Dinar went from an official value of 0.306 Dinars/USD (or $3.26 USD per dinar, though the black market rate is thought to have been substantially lower) to 3,000 Dinars/USD due to government printing of 10s of trillions of dinars starting with a base of only 10s of billions. That equates to approximately 315% inflation per year averaged over that eight-year period. In spite of increased oil prices in the late 1970s (Mexico is a producer and exporter), Mexico defaulted on its external debt in 1982. As a result, the country suffered a severe case of capital flight and several years of acute inflation and peso devaluation, leading to an accumulated inflation rate of almost 27,000% between December 1975 and late 1988. On 1 January 1993, Mexico created a new currency, the nuevo peso ("new peso", or MXN), which chopped three zeros off the old peso (One new peso was equal to 1,000 old MXP pesos). 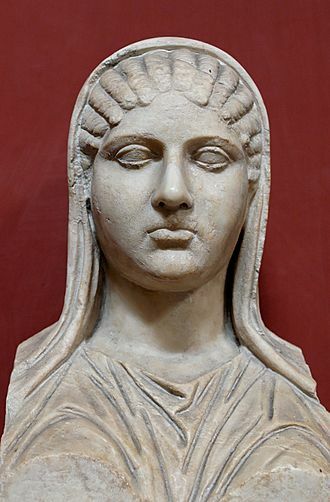 In Roman Egypt, where the best documentation on pricing has survived, the price of a measure of wheat was 200 drachmae in 276 AD, and increased to more than 2,000,000 drachmae in 334 AD, roughly 1,000,000% inflation in a span of 58 years. Although the price increased by a factor of 10,000 over 58 years, the annual rate of inflation was only 17.2% (1.4% monthly) compounded. Romania experienced high inflation in the 1990s. The highest denomination in 1990 was 100 lei and in 1998 was 100,000 lei. By 2000 it was 500,000 lei. In early 2005 it was 1,000,000 lei. In July 2005 the lei was replaced by the new leu at 10,000 old lei = 1 new leu. Inflation in 2005 was 9%. In July 2005 the highest denomination became 500 lei (= 5,000,000 old lei). The Second Transnistrian ruble consisted solely of banknotes and suffered from high inflation, necessitating the issue of notes overstamped with higher denominations. 1 and sometimes 10 ruble become 10,000 ruble, 5 ruble become 50,000 and 10 ruble become 100,000 ruble. 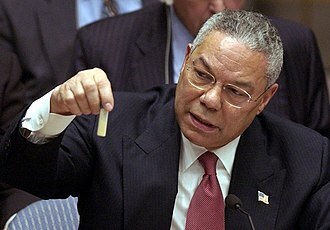 In 2000, a new ruble was introduced at a rate of 1 new ruble = 1,000,000 old rubles. Since the end of 2017 Turkey has high inflation rates. It is speculated that the new elections took place frustrated because of the impending crisis to forestall. In October 2017, inflation was at 11.9%, the highest rate since July 2008. The Turkish Lira fall from 1.503 TRY = 1 US-Dollar in 2010 to 5.5695 TRY = 1 US-Dollar in August 2018. During the Revolutionary War, when the Continental Congress authorized the printing of paper called continental currency, the monthly inflation rate reached a peak of 47 percent in November 1779 (Bernholz 2003: 48). These notes depreciated rapidly, giving rise to the expression "not worth a continental." One cause of the inflation was counterfeiting by the British, who ran a press on HMS Phoenix, moored in New York Harbour. The counterfeits were advertised and sold almost for the price of the paper they were printed on. A second close encounter occurred during the U.S. Civil War, between January 1861 and April 1865, the Lerner Commodity Price Index of leading cities in the eastern Confederacy states increased from 100 to over 9,000. As the Civil War dragged on, the Confederate dollar had less and less value, until it was almost worthless by the last few months of the war. Similarly, the Union government inflated its greenbacks, with the monthly rate peaking at 40 percent in March 1864 (Bernholz 2003: 107). Vietnam went through a period of chaos and hyperinflation in the late 1980s, with inflation peaking at 774% in 1988, after the country's "price-wage-currency" reform package, led by then-Deputy Prime Minister Trần Phương, had failed. Hyperinflation also occurred in the early stages of the socialist-oriented market economic reforms commonly referred to as the Đổi Mới. Inflation rate is usually measured in percent per year. It can also be measured in percent per month or in price doubling time. Often, at redenominations, three zeroes are cut from the bills. It can be read from the table that if the (annual) inflation is for example 100%, it takes 3.32 years to produce one more zero on the price tags, or 3 × 3.32 = 9.96 years to produce three zeroes. Thus can one expect a redenomination to take place about 9.96 years after the currency was introduced. ^ A banknote with a value of one million krones was printed, but not issued. ^ O'Sullivan, Arthur; Steven M. Sheffrin (2003). Economics: Principles in action. Upper Saddle River, New Jersey 07458: Pearson Prentice Hall. pp. 341, 404. ISBN 0-13-063085-3. ^ a b Palairet, Michael R. (2000). The Four Ends of the Greek Hyperinflation of 1941-1946. Museum Tusculanum Press. p. 10. ISBN 9788772895826. ^ Robinson, Joan (1 January 1938). "Review of The Economics of Inflation". The Economic Journal. 48 (191): 507–513. doi:10.2307/2225440. JSTOR 2225440. ^ Phillip Cagan, The Monetary Dynamics of Hyperinflation, in Milton Friedman (Editor), Studies in the Quantity Theory of Money, Chicago: University of Chicago Press (1956). ^ International Accounting Standards. "IAS 29 — Financial Reporting in Hyperinflationary Economies". IASB. Retrieved 10 April 2012. ^ Parsson, Jens (1974). Dying of Money (Chapter 17: Velocity). Boston, MA: Wellspring Press. pp. 112–119. ^ Hyperinflation: causes, cures Bernard Mufute, 2003-10-02, "Hyperinflation has its root cause in money growth, which is not supported by growth in the output of goods and services. Usually the excessive money supply growth is caused by financing of the government budget deficit through the printing of money." ^ Montier, James (February 2013). "Hyperinflations, Hysteria, and False Memories" (PDF). GMO LLC. Retrieved 10 December 2014. ^ "Controls blamed for U.S. energy woes", Los Angeles Times, 13 February 1977, Milton Friedman press conference in Los Angeles. ^ Jefferson County Miracles, Wall Street Journal, 6 March 2008. ^ Ludwig von Mises. Human Action. Fox & Wilkes, San Francisco, 4th edition, 1986. p. 428. ISBN 0-930073-18-5. ^ 1 billion in the German long scale = 1000 milliard = 1 trillion US scale. ^ The Penniless Billionaires, Max Shapiro, New York Times Book Co., 1980, page 203, ISBN 0-8129-0923-2 Shipiro comments: "Of course, one must not forget the 5 pfennig!" ^ Hanke, Steve H. (17 November 2008). "New Hyperinflation Index (HHIZ) Puts Zimbabwe Inflation at 89.7 sextillion percent,". The Cato Institute. Retrieved 17 November 2008. ^ Tran, Mark (31 July 2008). "Zimbabwe knocks 10 zeros off currency amid world's highest inflation". The Guardian. London. ^ "This infographic shows how currency debasement contributed to the fall of Rome". Business Insider. Retrieved 18 October 2017. ^ "Austria - 1,000,000 Kronen (1 July 1924)". Bank Note Museum. Archived from the original on 18 January 2019. Retrieved 18 January 2019. ^ Adam Fergusson (12 October 2010). When Money Dies: The Nightmare of Deficit Spending, Devaluation, and Hyperinflation in Weimar Germany. PublicAffairs. ISBN 978-1-58648-994-6. ^ Adam Fergusson (2010). When Money Dies – The Nightmare of Deficit Spending, Devaluation, and Hyperinflation in Weimar Germany. Public Affairs – Perseus Books Group. p. 92. ISBN 978-1-58648-994-6. ^ a b Sargent, T. J. (1986) Rational Expectations and Inflation, New York: Harper & Row. ^ Chang, K. (1958) The Inflationary Spiral: The Experience in China, 1939–1950, New York: The Technology Press of Massachusetts Institute of Technology and John Wiley and Sons. ^ White, E.N. (1991) 'Measuring the French Revolution's Inflation: the Tableaux de depreciation,' Histoire & Mesure, 6 (3): 245–274. ^ Adam Fergusson (2010). When Money Dies – The Nightmare of Deficit Spending, Devaluation, and Hyperinflation in Weimar Germany. Public Affairs – Perseus Books Group. p. 117. ISBN 978-1-58648-994-6. ^ Lord D'Abernon (1930). An Ambassador of Peace, the diary of Viscount D'Abernon, Berlin 1920–1926 (V1–3). London: Hodder and Stoughton. ^ Athanassios K. Boudalis (2016). Money in Greece, 1821-2001. The history of an institution. MIG Publishing. 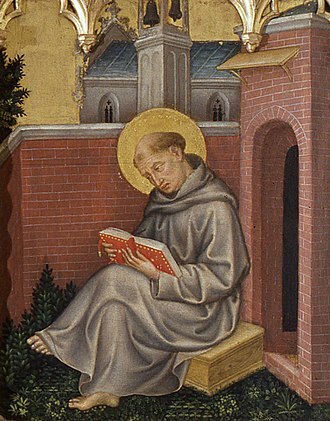 p. 618. ISBN 978-9-60937-758-4. ^ Adam Fergusson (2010). When Money Dies – The Nightmare of Deficit Spending, Devaluation, and Hyperinflation in Weimar Germany. Public Affairs – Perseus Books Group. p. 101. ISBN 978-1-58648-994-6. 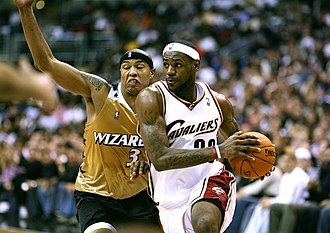 ^ Judt, Tony (2006). Postwar: A History of Europe Since 1945. Penguin. p. 87. ISBN 0-14-303775-7. 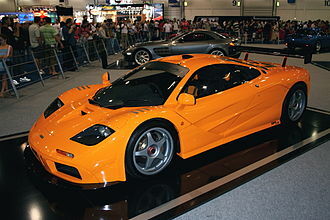 ^ Nogaro, B. (1948) 'Hungary's Recent Monetary Crisis and Its Theoretical Meaning', American Economic Review, 38 (4): 526–42. ^ "Brightening the future of Korea". DailyNK. Archived from the original on 10 November 2012. Retrieved 15 October 2012. ^ a b "Hiperinflacja - Polish National Bank". www.nbportal.pl (in Polish). 7 May 2015. Archived from the original on 11 February 2017. Retrieved 11 February 2017. ^ Barbara A. Noe (7 August 2005). "A Return to Wartime Philippines". Los Angeles Times. Archived from the original on 17 February 2009. Retrieved 16 November 2006. ^ Hartendorp, A. (1958) History of Industry and Trade of the Philippines, Manila: American Chamber of Commerce on the Philippines, Inc.
^ "Banana Money Exchange". Newspaper SG. The Straits Times. Retrieved 27 May 2015. ^ "Venezuela 2014 inflation hits 68.5 pct -central bank". ^ "The Three Countries With The Highest Inflation". ^ "Venezuela annual inflation 180 percent: opposition newspaper". ^ Sequera, Vivian (21 February 2018). "Venezuelans report big weight losses in 2017 as hunger hits". Reuters. Retrieved 23 February 2018. ^ Corina, Pons (20 January 2017). "Venezuela 2016 inflation hits 800 percent, GDP shrinks 19 percent: document". Reuters. Retrieved 15 November 2017. ^ "AssetMacro". AssetMacro. Archived from the original on 16 February 2017. Retrieved 15 February 2017. ^ Davies, Wyre (20 February 2016). "Venezuela's decline fuelled by plunging oil prices". BBC News, Latin America. Retrieved 20 February 2016. ^ "Inflación de 2018 cerró en 1.698.488%, según la Asamblea Nacional" (in Spanish). Efecto Cocuyo. 9 January 2019. Retrieved 9 January 2019. ^ Herrero, Ana Vanessa; Malkin, Elisabeth (16 January 2017). "Venezuela Issues New Bank Notes Because of Hyperinflation". The New York Times. Retrieved 17 January 2017. ^ Krauze, Enrique (8 March 2018). "Hell of a Fiesta". New York Review of Books. Retrieved 1 March 2018. ^ Amaro, Silvia (2018-07-27). "Venezuelan inflation predicted to hit 1 million percent this year". CNBC. Retrieved 2018-07-29. ^ a b Hanke, Steve (July 31, 2018). "IMF Produces Another Bogus Venezuela Inflation Forecast". Forbes. Retrieved 31 August 2018. ^ "Where Zillion Loses Meaning". The New York Times. 31 December 1993. ^ Rostowski, J. (1998) Macroeconomics Instability in Post-Communist Countries, New York: Carendon Press. ^ "Zimbabwe famine". Archived from the original on 8 January 2009. Retrieved 10 March 2009. ^ Greenspan, Alan. The Age of Turbulence: Adventures in a New World. New York: The Penguin Press. 2007. Page 339. ^ "Zimbabwe inflation at 2,200,000%". BBC News. 16 July 2008. Retrieved 26 March 2010. ^ "The Leading Business Weekly". The Zimbabwe Independent. Retrieved 15 October 2012. ^ Dzirutwe, MacDonald (9 December 2014). "Zimbabwe's Mugabe fires deputy, seven ministers". Reuters. Retrieved 10 December 2014. ^ "Zimbabwe inflation rockets higher". BBC News. 19 August 2008. Retrieved 26 March 2010. ^ Celia W. Dugger (1 October 2008). "Life in Zimbabwe: Wait for Useless Money". The New York Times. ^ "Zimbabwe dollar sheds 12 zeros". BBC News. 2 February 2009. Retrieved 2 February 2008. ^ Hanke, S. H. and Kwok, A. K. F. (2009) 'On the Measurement of Zimbabwe's Hyperinflation', Cato Journal, 29 (2): 353–64. ^ The Life Contributors (17 April 2012). "Traveling In Europe Has Become Absurdly Expensive—And You Know The Reason Why". Business Insider. Retrieved 15 October 2012. ^ "Report for Selected Countries and Subjects". Imf.org. 29 April 2003. Retrieved 15 October 2012. ^ "Der wahre Grund, warum Erdoğan die Wahlen vorzieht". Business Insider. 18 April 2018. Retrieved 3 August 2018. ^ "Warum Erdogan es so eilig hat". Wirtschaftswoche. 19 April 2018. Retrieved 3 August 2018. ^ "Erdogan kündigt Neuwahlen im Juni an". Hannoversche Allgemeine Zeitung. 18 April 2018. Retrieved 3 August 2018. ^ "Lira fällt Richtung Rekordtief". Handelsblatt. 3 November 2017. Retrieved 3 August 2018. ^ "Dollar - Türkische Lira". Finanzen.net GmbH. 3 August 2018. Retrieved 3 August 2018. ^ Napier, Nancy K.; Vuong, Quan Hoang (2013). What we see, why we worry, why we hope: Vietnam going forward. Boise, ID, USA: Boise State University CCI Press. p. 140. ISBN 978-0985530587. ^ "World Hyperinflations | Steve H. Hanke and Nicholas Krus | Cato Institute: Working Paper". Cato.org. 15 August 2012. Retrieved 15 October 2012. ^ "World Hyperinflations" (PDF). CNBC. 14 February 2011. Retrieved 13 July 2012. Peter Bernholz (30 April 2015). Monetary Regimes and Inflation: History, Economic and Political Relationships, Second Edition. Edward Elgar Publishing. ISBN 978-1-78471-763-6. Cagan, Phillip, "The Monetary Dynamics of Hyperinflation." In Milton Friedman, ed., Studies in the Quantity Theory of Money. Chicago: University of Chicago Press, 1956. Shun-Hsin Chou, The Chinese Inflation 1937–1949, New York, Columbia University Press, 1963, Library of Congress Cat. 62-18260. Wolfgang Chr. Fischer (Editor), "German Hyperinflation 1922/23 – A Law and Economics Approach", Eul Verlag, Köln, Germany 2010. Wikimedia Commons has media related to Hyperinflation. Macroeconomics is a branch of economics dealing with the performance, structure and decision-making of an economy as a whole. This includes national and global economies and microeconomics, a pair of terms coined by Ragnar Frisch, are the two most general fields in economics. Macroeconomic models and their forecasts are used by governments to assist in the development, Macroeconomics encompasses a variety of concepts and variables, but there are three central topics for macroeconomic research. Macroeconomic theories usually relate the phenomena of output, outside of macroeconomic theory, these topics are important to all economic agents including workers and producers. National output is the amount of everything a country produces in a given period of time. Everything that is produced and sold generates an equal amount of income, therefore and income are usually considered equivalent and the two terms are often used interchangeably. Output can be measured as total income, or it can be viewed from the side and measured as the total value of final goods. Macroeconomic output is measured by gross domestic product or one of the other national accounts. Economists interest in long-run increases in output study economic growth, advances in technology, accumulation of machinery and other capital, and better education and human capital all lead to increased economic output over time. However, output does not always increase consistently, business cycles can cause short-term drops in output called recessions. Economists look for macroeconomic policies that prevent economies from slipping into recessions, the amount of unemployment in an economy is measured by the unemployment rate, i. e. the percentage of workers without jobs in the labor force. The unemployment rate in the force only includes workers actively looking for jobs. People who are retired, pursuing education, or discouraged from seeking work by a lack of job prospects are excluded, unemployment can be generally broken down into several types that are related to different causes. Classical unemployment theory suggests that unemployment occurs when wages are too high for employers to be willing to hire more workers, other more modern economic theories suggest that increased wages actually decrease unemployment by creating more consumer demand. A market is one of the many varieties of systems, procedures, social relations and infrastructures whereby parties engage in exchange. While parties may exchange goods and services by barter, most markets rely on sellers offering their goods or services in exchange for money from buyers and it can be said that a market is the process by which the prices of goods and services are established. Markets facilitate trade and enable the distribution and allocation of resources in a society, Markets allow any trade-able item to be evaluated and priced. A market emerges more or less spontaneously or may be constructed deliberately by human interaction in order to enable the exchange of rights of services, Markets can be worldwide, for example the global diamond trade. National economies can be classified, for example as developed markets or developing markets, in mainstream economics, the concept of a market is any structure that allows buyers and sellers to exchange any type of goods and information. 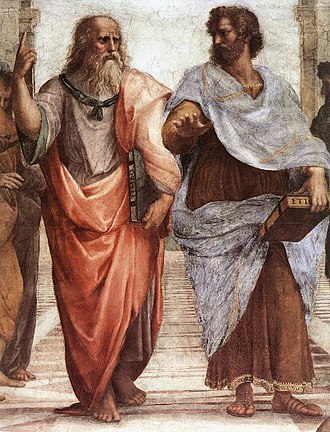 The exchange of goods or services, with or without money, is a transaction, a major topic of debate is how much a given market can be considered to be a free market, that is free from government intervention. However it is not always clear how the allocation of resources can be improved since there is always the possibility of government failure, a market is one of the many varieties of systems, procedures, social relations and infrastructures whereby parties engage in exchange. While parties may exchange goods and services by barter, most markets rely on sellers offering their goods or services in exchange for money from buyers and it can be said that a market is the process by which the prices of goods and services are established. Markets facilitate trade and enables the distribution and allocation of resources in a society, Markets allow any trade-able item to be evaluated and priced. A market sometimes emerges more or less spontaneously but is often constructed deliberately by human interaction in order to enable the exchange of rights of services. Markets of varying types can spontaneously arise whenever a party has interest in a good or service that other party can provide. Hence there can be a market for cigarettes in correctional facilities, another for chewing gum in a playground, and yet another for contracts for the future delivery of a commodity. Markets vary in form, scale and types of participants, as well as the types of goods and services traded, nevertheless and they apply the market dynamics to facilitate information aggregation. However, market prices may be distorted by a seller or sellers with monopoly power, such price distortions can have an adverse effect on market participants welfare and reduce the efficiency of market outcomes. Also, the level of organization and negotiating power of buyers and sellers markedly affects the functioning of the market. Markets are a system, and systems have structure, the structure of a well-functioning market is defined by the theory of perfect competition. Market failures are often associated with time-inconsistent preferences, information asymmetries, non-perfectly competitive markets, principal–agent problems, among the major negative externalities which can occur as a side effect of production and market exchange, are air pollution and environmental degradation. Operations research, or operational research in British usage, is a discipline that deals with the application of advanced analytical methods to help make better decisions. Further, the operational analysis is used in the British military, as an intrinsic part of capability development, management. In particular, operational analysis forms part of the Combined Operational Effectiveness and Investment Appraisals and it is often considered to be a sub-field of applied mathematics. The terms management science and decision science are used as synonyms. Operation research is concerned with determining the maximum or minimum of some real-world objective. Originating in military efforts before World War II, its techniques have grown to concern problems in a variety of industries, nearly all of these techniques involve the construction of mathematical models that attempt to describe the system. Because of the computational and statistical nature of most of these fields, OR has ties to computer science. In the decades after the two wars, the techniques were more widely applied to problems in business, industry. Early work in research was carried out by individuals such as Charles Babbage. Percy Bridgman brought operational research to bear on problems in physics in the 1920s, modern operational research originated at the Bawdsey Research Station in the UK in 1937 and was the result of an initiative of the stations superintendent, A. P. Rowe. Rowe conceived the idea as a means to analyse and improve the working of the UKs early warning radar system, initially, he analysed the operating of the radar equipment and its communication networks, expanding to include the operating personnels behaviour. This revealed unappreciated limitations of the CH network and allowed action to be taken. Scientists in the United Kingdom including Patrick Blackett, Cecil Gordon, Solly Zuckerman, other names for it included operational analysis and quantitative management. During the Second World War close to 1,000 men and women in Britain were engaged in operational research, about 200 operational research scientists worked for the British Army. In statistics, a moving average is a calculation to analyze data points by creating series of averages of different subsets of the full data set. It is called a mean or rolling mean and is a type of finite impulse response filter. Variations include and cumulative, or weighted forms, given a series of numbers and a fixed subset size, the first element of the moving average is obtained by taking the average of the initial fixed subset of the number series. Then the subset is modified by shifting forward, that is, excluding the first number of the series, a moving average is commonly used with time series data to smooth out short-term fluctuations and highlight longer-term trends or cycles. The threshold between short-term and long-term depends on the application, and the parameters of the average will be set accordingly. For example, it is used in technical analysis of financial data, like stock prices. It is used in economics to examine gross domestic product, mathematically, a moving average is a type of convolution and so it can be viewed as an example of a low-pass filter used in signal processing. When used with non-time series data, a moving average filters higher frequency components without any connection to time. Viewed simplistically it can be regarded as smoothing the data, in financial applications a simple moving average is the unweighted mean of the previous n data. 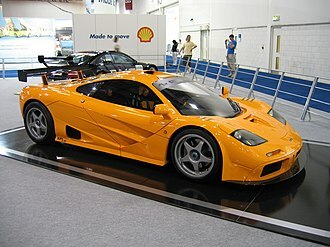 However, in science and engineering the mean is taken from an equal number of data on either side of a central value. This ensures that variations in the mean are aligned with the variations in the rather than being shifted in time. An example of an equally weighted running mean for a n-day sample of closing price is the mean of the previous n days closing prices. In financial terms moving-average levels can be interpreted as support in a falling market, if the data used are not centered around the mean, a simple moving average lags behind the latest datum point by half the sample width. An SMA can be influenced by old datum points dropping out or new data coming in. 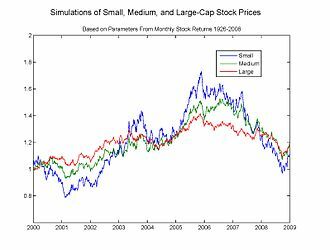 One characteristic of the SMA is that if the data have a periodic fluctuation, but a perfectly regular cycle is rarely encountered. Institutional economics focuses on understanding the role of the evolutionary process and the role of institutions in shaping economic behaviour. Its original focus lay in Thorstein Veblens instinct-oriented dichotomy between technology on the one side and the sphere of society on the other. Its name and core elements trace back to a 1919 American Economic Review article by Walton H. Hamilton, Institutional economics emphasizes a broader study of institutions and views markets as a result of the complex interaction of these various institutions. The earlier tradition continues today as a leading heterodox approach to economics, a significant variant is the new institutional economics from the 20th century, which integrates developments of neoclassical economics into the analysis. 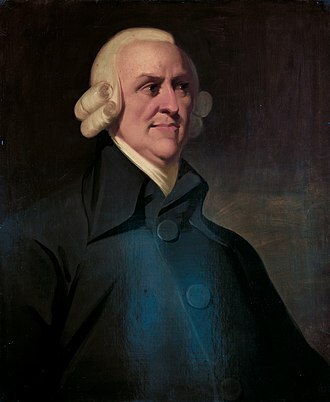 Law and economics has been a theme since the publication of the Legal Foundations of Capitalism by John R. Commons in 1924. Since then, there is heated debate on the role of law on economic growth, Behavioral economics is another hallmark of institutional economics based on what is known about psychology and cognitive science, rather than simple assumptions of economic behavior. Institutional economics focuses on learning, bounded rationality, and evolution and it was a central part of American economics in the first part of the 20th century, including such famous but diverse economists as Thorstein Veblen, Wesley Mitchell, and John R. Commons. Traditional institutionalism rejects the reduction of institutions to simply tastes, tastes, along with expectations of the future and motivations, not only determine the nature of institutions but are limited and shaped by them. If people live and work in institutions on a regular basis, some of the authors associated with this school include Robert H. Wright Mills was highly influenced by the institutionalist approach in his major studies. Thorstein Veblen wrote his first and most influential book while he was at the University of Chicago, in it he analyzed the motivation in capitalism to conspicuously consume their riches as a way of demonstrating success. Conspicuous leisure was another focus of Veblens critique, the concept of conspicuous consumption was in direct contradiction to the neoclassical view that capitalism was efficient. Output and technological advance are restricted by business practices and the creation of monopolies, businesses protect their existing capital investments and employ excessive credit, leading to depressions and increasing military expenditure and war through business control of political power. These two books, focusing on criticism first of consumerism, and second of profiteering, did not advocate change, Veblen remains a leading critic, which cautions against the excesses of the American way. Thorstein Veblen wrote in 1898 an article entitled Why is Economics Not an Evolutionary Science, John R. Commons came from mid-Western America. 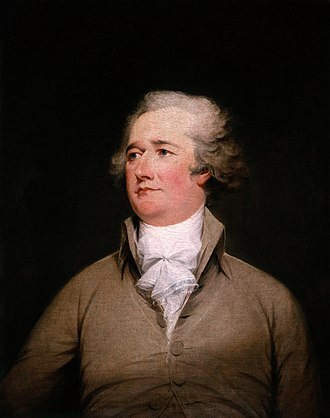 Underlying his ideas, consolidated in Institutional Economics was the concept that the economy is a web of relationships between people with diverging interests, there are monopolies, large corporations, labour disputes and fluctuating business cycles. They do however have an interest in resolving these disputes, Commons thought that government should be the mediator between the conflicting groups.